Scientists aboard the E/V Nautilus, a roughly 64 metre exploration vessel used for research, were studying an "extinct volcano" called the Davidson Seamount. Lead scientists Chad King said the group of researchers were attempting to see where coral and sponges exist when they made the stunning discovery. Mr King said he spotted the creature out of the corner of his eye as the team used its remotely operated underwater vehicle Hercules to explore on Tuesday. "Even though I'm a scientist, we're all kids out here," he said. 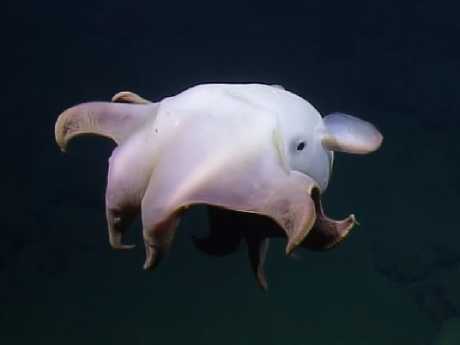 He added that the Dumbo octopus "elated (everyone) in the control area." 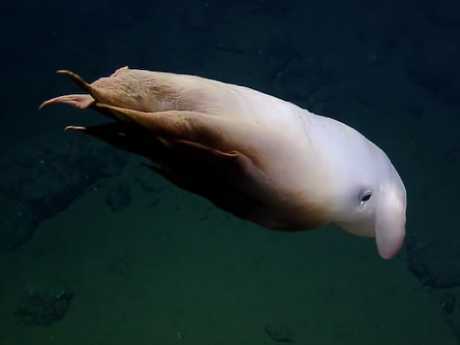 The Dumbo octopus glided and moved its fins in the water before it "gave" researchers a closer peek at its body. 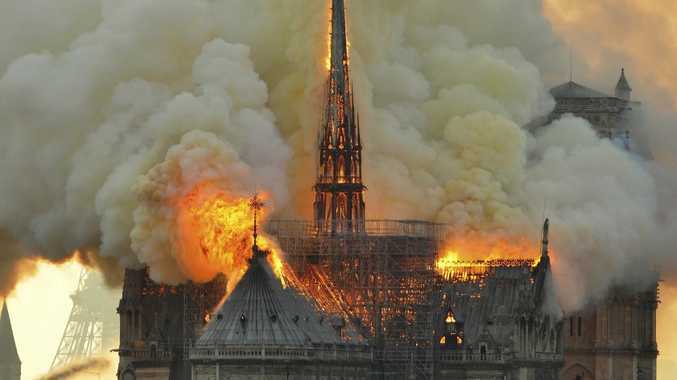 "Oh, it's giving us a show," one person was overheard saying in footage captured of the creature. 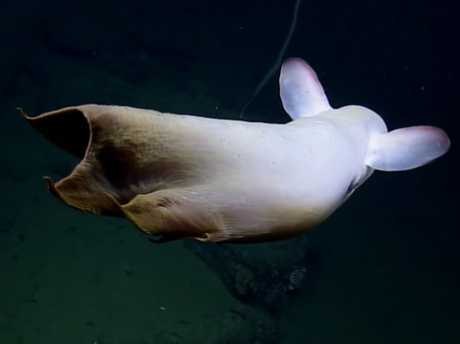 The creature they saw was about 58cm and was gliding at almost 3.3km deep, according to the Ocean Exploration Trust, a non-profit organisation that owns the Nautilus vessel. 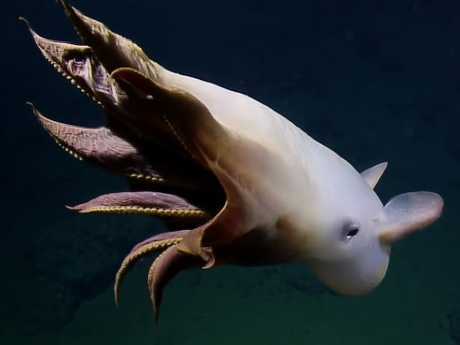 Dumbo octopuses, of which there are approximately 17 species, earn their nickname because their fins are like the ears of the Disney character, Dumbo the Elephant. According to the Aquarium of the Pacific website, the majority of Dumbo octopus species are about 20 to 30cm long. The biggest Dumbo octopus ever measured was more than 1.8m. Mr King pointed out that Dumbo octopuses aren't rare, but it is unusual to see them in the wild as they are deep-sea creatures. 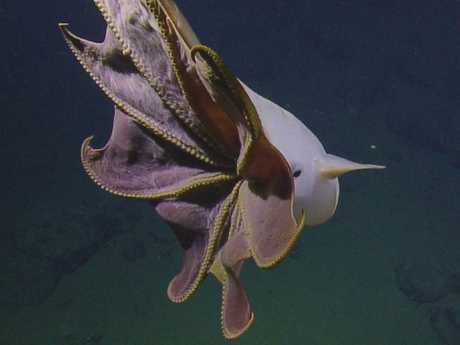 "The fact that we encountered one is what is special," he said, adding the footage could be useful for octopus experts. "We had to move because of the length of the cable and where the ship was," Mr King explained. Still, researchers witnessed another amazing find on the same dive. "We ran into this incredible brooding, or collection, of a different species of octopus, all mums brooding their eggs," he said.